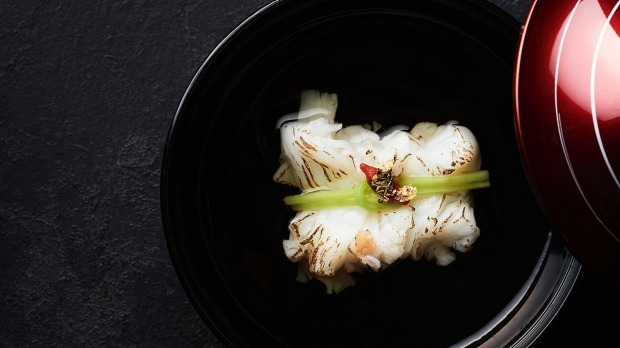 Melbourne has a crush on high-end Japanese food. 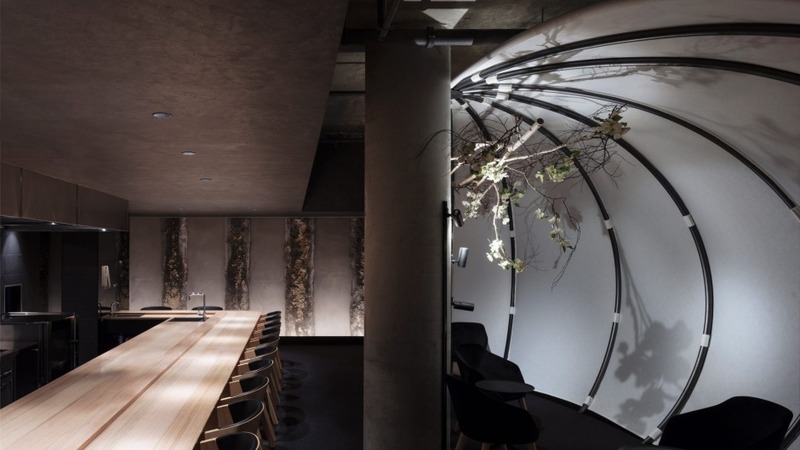 For proof, look no further than Ishizuka, the 16-seat kaiseki restaurant that booked out two weeks ahead almost immediately after opening on January 18 in an unsigned Bourke Street basement. Former Koko head chef Tomotaka Ishizuka​, and partners Melanie Zhang and A.J. Huang, engaged interior design firm Russell & George to turn the subterranean space into a bijou dining room and open kitchen, where a succession of finely crafted seasonal dishes are prepared to order and presented on custom-made dishes by Kyoto ceramicists Shigeo and Yotaro Takemura of Dainichi Gama studio. Ishizuka joins Richmond's three-hatted sushi specialist Minamishima, and fellow kaiseki restaurants The Table at Kisume (two hats) and Kappo (one hat) in offering Japanese haute cuisine. Meanwhile, change is afoot at The Table at Kisume, where Kitak Lee (Momofuku Sieobo and Cho Cho San, Sydney) has stepped into the role vacated by chef K.S. Moon, the Korean-born sushi master recruited by restaurateur Chris Lucas to head up the Flinders Lane restaurant, which opened last May. Moon has returned to Dubai, with Lucas issuing a statement saying: "We wish him and his family all the best and thank him for his enormous contribution and putting Melbourne on the international stage." His departure represents a full changing of the guard in the Kisume kitchen, after star chefs Shaun Presland and Japanese brothers Yosuke and Shimpei Hatanaka returned to the Rockpool Group's Sake restaurants in September. 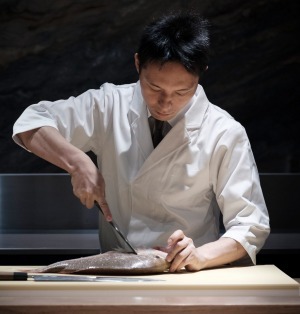 Shinya Nakano has become Kisume's new head sushi chef. Sommelier Jonathan Ross (ex Eleven Madison Park, New York) left to pursue his Master Sommelier career, with Morgan Dunn and Kieran Clarkin now sharing the lead sommelier role.